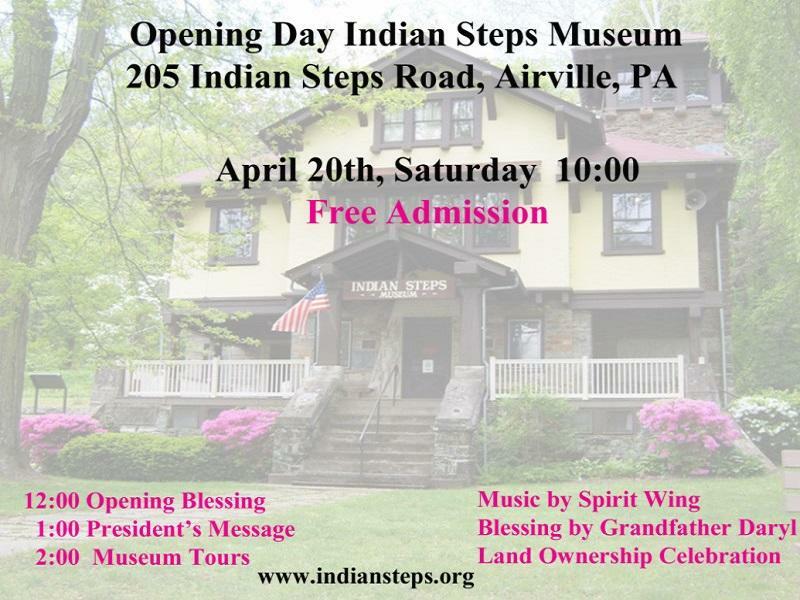 Free admission to Indian Steps Museum on April 20, Saturday, from 10 a.m.- 5 p.m.
*Grandfather Daryl bestows a Native American Blessing for a prosperous season. * President Pam Kilgore announces the land ownership and reveals future plans for Indian Steps. 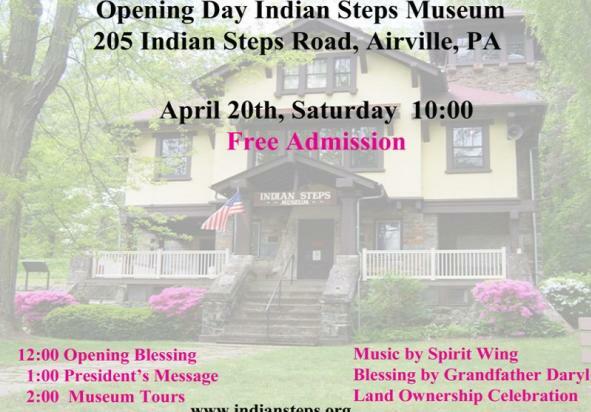 * Debbie Saylor, Curator, will provide tours of both interior & exterior of the museum. * Barry Lee & Barb Christy of Spirit Wing will entertain you with delightful music as you relax & enjoy the natural beauty along the Susquehanna River.